Add all ingredients to a large bowl and whisk until well combined. Place in fridge for at least a few hours and preferably over night. 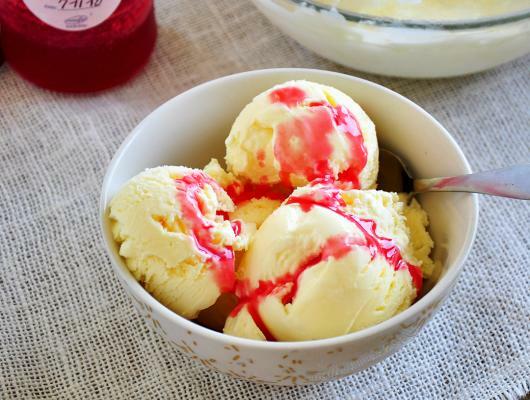 Place ice cream into bowl and place in freezer for 2 hours. Treat yourself to this simple, elegant, and easy homemade vanilla ice cream. Ice cream does not need to be hard and you can make some good stuff with just a few ingredients. Dairy, sugar, vanilla, and a secret ingredient that will turn an ok ice cream to a fabulous ice cream. Eggs! 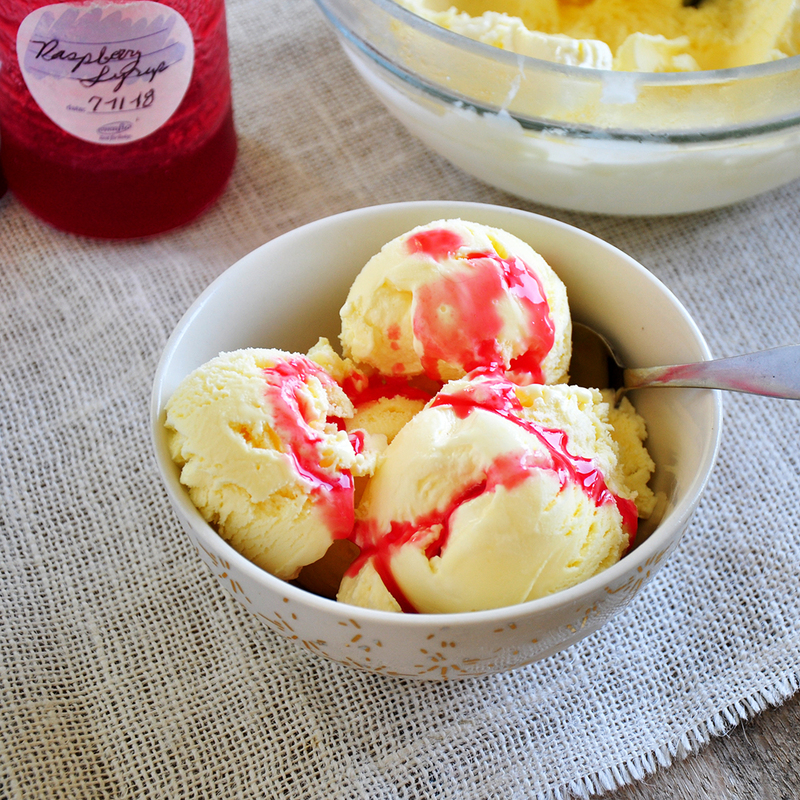 Add some eggs to your ice cream to help give it a texture that is is so great and a richness that can't be beat. This vanilla ice cream is so tasty.